Aalisha Panwar gives MAJOR GOALS for every BRIDE-TO-BE! 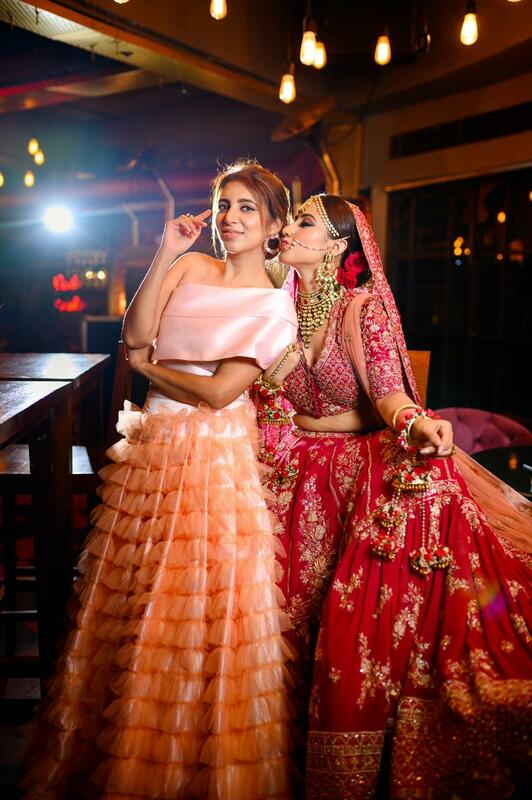 Recently, the actress had a bridal-wear photoshoot done by celebrity make-up artist and stylist Neha Mahajan, and she spelled elegance and class through her outfit. Bridal is name of the game as we have entered the season of marriages, and Neha’s creativity in designing Aalisha’s look is sure to inspire many a bride. Aalisha was dressed in a royal red and gold lehenga by Payal Keyal Asiana couture with double dupattas to give her a larger-than-life look. She flaunted precious polki diamond jewellery from Khurana Jewelery House. Her make-up was rich and classy too. Neha also had a second look designed for Aalisha. She looked gorgeous in pastel blue with a tinge of silver, something that one can opt for to attend a reception. Aalisha looked graceful in a powder blue and silver lehenga with a very unique blouse and dupatta to give a contemporary feel. Kapil Sharma's wife Ginni Chatrath gave me my biggest break: Leena Bhushan These actors have undergone AMAZING TRANSFORMATIONS!